No Number - Computer Cartridge - "Firehouse Rescue"
No # Computer Cartridge - Commodore 64 "Firehouse Rescue"
Description: In the late 1980's Fisher-Price began to licence their name and toys to several different companies who made various different licenced Fisher-Price items. One of these companies was GameTek that made Fisher-Price computer cartridges for Commodore 64 and 128 (in C64 mode), and later for the Nintendo. Designed for children ages 3 to 8 years old. 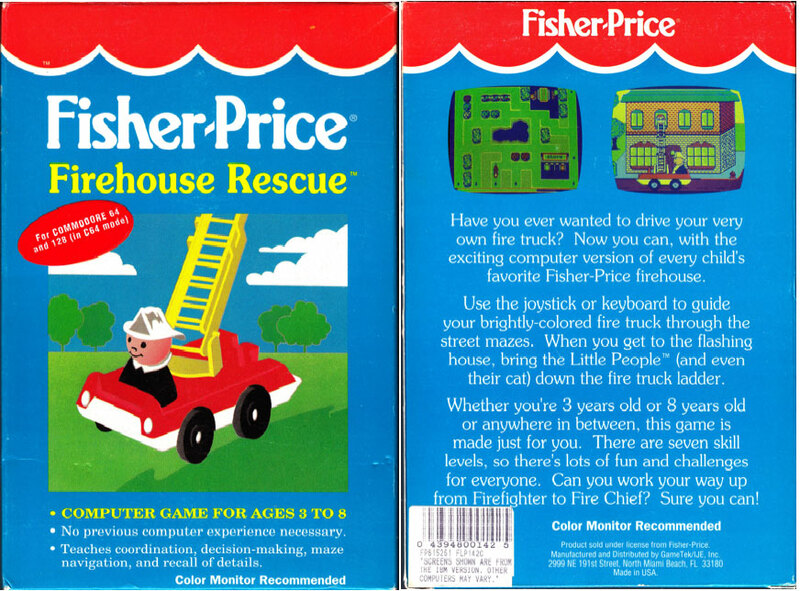 FPT19713 - Complete set with "Firehouse Rescue" Commodore 64 cartridge and packaging (listed individually below). 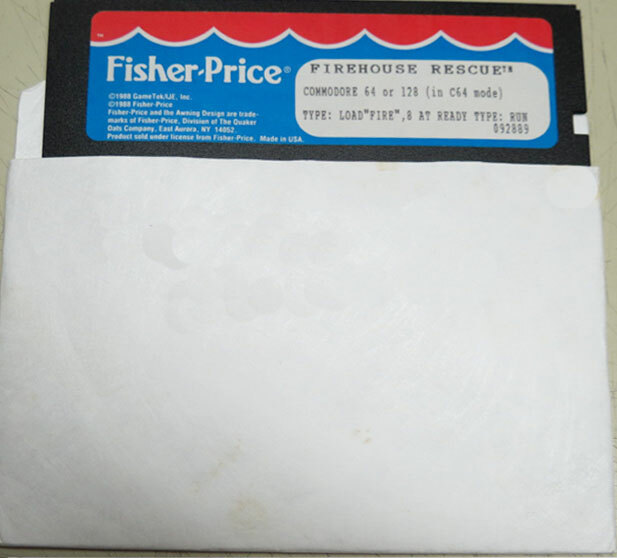 FPT19711 - Computer floppy disc titled "Firehouse Rescue" by GameTek for Commodore 64. The label is marked "©1988 GameTek" and "©1988 Fisher-Price". The game teaches coordination, decision-making, maze navigation, and recall of details. FPT19712 - Cardboard computer cartridge packaging designed to hold the FPT19711 Commodore 64 computer cartridge titled "Firehouse Rescue". 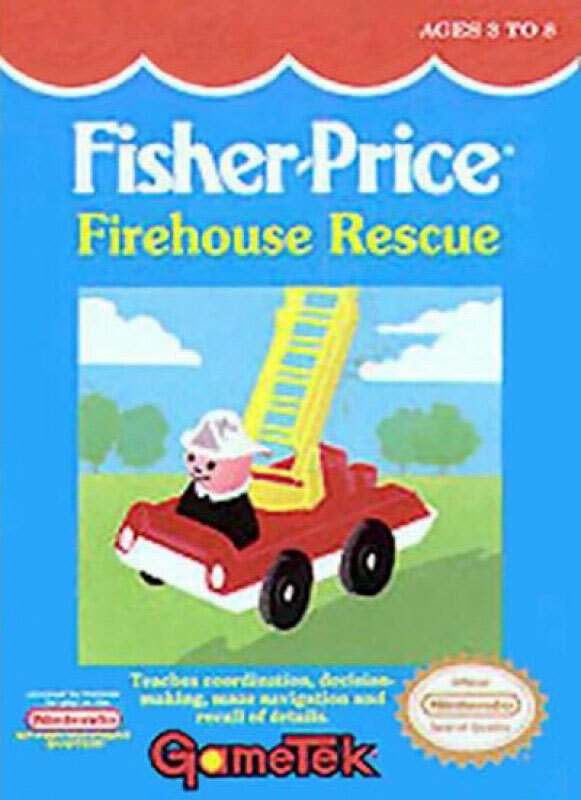 FPT45241 - Instructions booklet for the "Firehouse Rescue" software. FPT45242 - Complete set with "Firehouse Rescue" Nintendo cartridge and packaging (listed individually below). 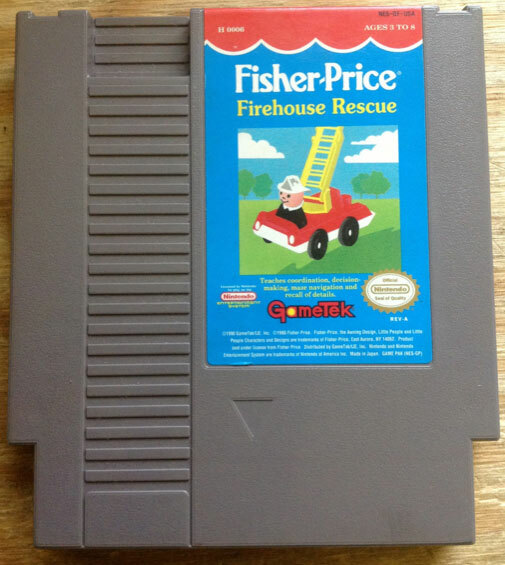 FPT45243 - Grey computer cartridge titled "Firehouse Rescue" by GameTek for Nintendo. FPT45244 - Cardboard computer cartridge packaging designed to hold the FPT45243 Nintendo computer cartridge titled "Firehouse Rescue". 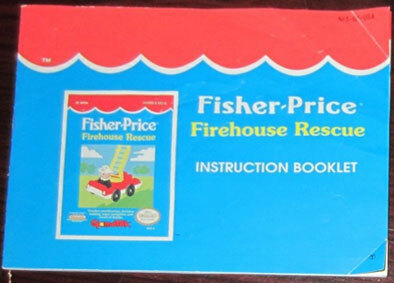 FPT45245 - Instructions booklet for the "Firehouse Rescue" software.